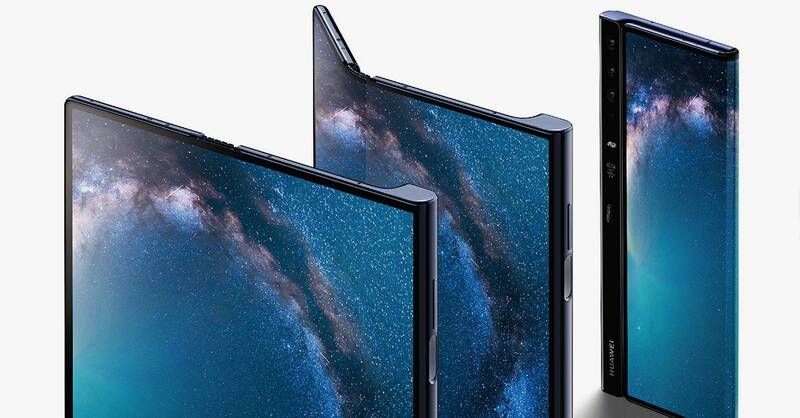 Foldable phones like Samsung’s Galaxy Fold and Huwaei’s Mate X are coming, whether you’re ready or not. In fact, they’re coming whether they’re ready or not. The software remains untested or nonexistent. The prices are either astronomical or unannounced. But those potential issues can be fixed on the fly. The real thing you should hold out for? Glass. Yes, glass. The stuff that you tap when you use your smartphone, that you take for granted until you manage to shatter it on the sidewalk. Glass is strong, and durable, and hard to scratch and easy to see through to the bright and shiny OLED pixels below. Glass can even fold, probably further than you’d think. But it can’t flex far enough for smartphones that open up like books. At least, not yet. Instead, the early folding phone manufacturers are leaning on plastic polymers. Which makes sense in that the materials can not only bend as far as you’d need, they can do so repeatedly; Samsung claims its so-called Infinity Flex Display can withstand hundreds of thousands of openings and closings. “The polymer is better at flexibility; it’s easier to bend at the same thickness,” says John Mauro, a professor of materials science and engineering at Penn State University who had previously spent 18 years at Corning. But plastic is also, as you may by now have guessed, worse at all kinds of things. It’s much less hard than glass, which makes it easier to scratch and ding up. And unlike glass, plastic will crease over time, leaving you with a large unfolding display, sure, but one bisected with an unsightly wrinkle. Or just look at how Samsung, Huawei, and others have staged the introduction of their foldable devices. Reporters haven’t been allowed much time to actually handle them, in part because the software’s not fully baked, but also because the display deviates from the glass cover the last decade has conditioned smartphone owners to expect. They’ve largely confirmed, though, that the difference is noticeable. It will only become more so over time. Which means that foldable smartphones won’t be ready until glass is ready. Fortunately, that may be sooner than you’d think. Corning is working on ultra thin bendable glass that’s 0.1 millimeters thick, and can bend to a 5 millimeter radius. The trick, though, is achieving that kind of pinch without losing the toughness that makes glass great to begin with. To get there, Corning is combining its experience with Willow glass, which can roll up like a ream of paper, and Gorilla Glass, which gets its strength from an ion exchange process. In fact, it’s that process that makes Willow Glass unsuitable for phones. It involves dipping glass into a molten salt solution, where potassium ions enter and push out smaller sodium ions, creating a “compressive stress layer.” To borrow an example from Corning think of what would happen if you replaced the billiards balls in a rack with tennis balls, which are slightly larger. The additional compression would make it much harder to roll the rack. In a sense, it’s stronger. But it also comes at a cost. Bayne expects foldable glass to be ready by the time foldable smartphones go mainstream, say a couple of years. Mauro thinks Corning and competitors like Japan’s AGC may be even closer than that. But the important thing for you to know is that it’s not here now. Until it is, maybe spend that $1,980 on something a little more fully baked.